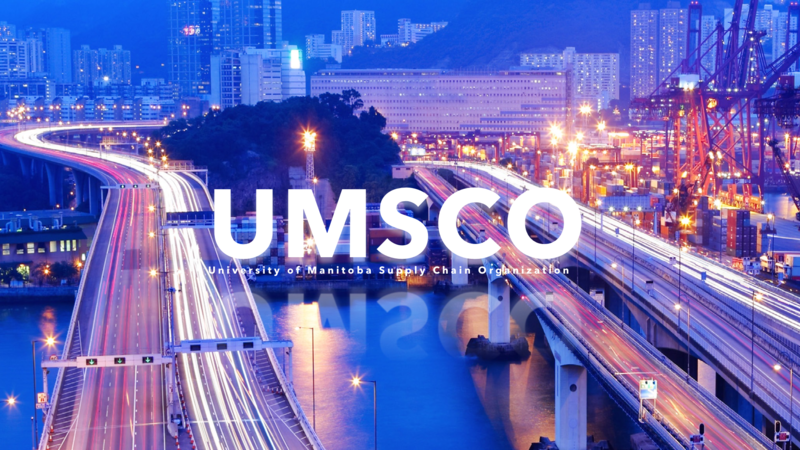 The University of Manitoba Supply Chain Organization (UMSCO) is proud to announce the 7th Annual UMSCO Meet and Greet presented by Richardson International. This year’s event presents a unique opportunity for students looking to breakthrough in the Supply Chain Management field to network with business professionals. The event will begin with a networking reception in which corporate partners and students may converse while hor d’oeuvres are served. The reception will be followed by an opportunity for students to rotate through company tables and learn more about the respective firms in attendance. The event will give students an opportunity to develop relationships with corporate representatives and other members of the business community. Join us in celebrating this opportunity to highlight future Supply Chain Leaders and ensure UMSCOs continued success! How do I prepare for the Meet and Greet? Reminder that we’re having our Fourth Member Meeting tomorrow! If you want to learn about some useful LinkedIn tips, 2019-20 UMSCO Council recruitment, and more, come join us! The moment you’ve all been waiting for! Applications for the 2019-2020 Executive and General Council are now LIVE. Link to apply can be found in our bio, happy applying! Your Incoming and Outgoing Presidents and Vice Presidents had a blast at the 1st Annual UMSCO & SCMA Mixer last evening! Thank you so much to SCMA for sponsoring the event and for all the students who spent their evenings learning more about Supply Chain. We are excited to bring this event back next year! As well, thank you to @thehubsocialclub for hosting us and for providing delicious food! CONGRATULATIONS! We are excited to announce our new President @skyerickner and Vice President @dang__nguyen__ for the 2019-2020 academic year! Thank you to all the UMSCO voters we are thrilled to have 45% voter turnout in our first election ever! As well, thank you to the other participants in this years election. Information regarding Executive applications is coming soon. Have you got your ticket yet? Make sure to claim your free ticket on Eventbrite for our 1st Annual UMSCO & SCMA mixer on March 7th! Link in our bio, we will see you there! Still on the fence about running in the upcoming election for President or Vice President? We are here to ease your mind! In order to run you must be a University of Manitoba student, but there are no other requirements! We encourage anyone who is passionate about Supply Chain and helping students learn more about the field to consider submitting their nomination package. If you have any questions reach out to us via email or DM. Remember, nominations are due one week from today! We are excited to partner with @aimsmanitoba for our upcoming Member Meeting! Join us on February 12th to listen to Shane Li speak about his experiences in Supply Chain and International Business. Students in eligible Supply Chain classes will receive bonus marks and free food is provided. See you then! A big thank you to Richardson International for being the Premier Partner of our 7th Annual Meet & Greet! Thank you to all the students for participating! Photos from the event are posted on our Facebook page! SPOTS ARE FILLED Are you interested in representing Asper at a national case competition? UMSCO is currently looking for 3-4 undergraduate students to participate in the 2019 SCMA Student Case Competition! It is happening on February 23, 2019 and registration closes on Friday! Please send us a message if you are interested prior to Friday. Congratulations! Thank you to our Premium Partner, Richardson International for presenting the 2nd Annual UMSCO Case Competition first place trophy! Learn more about Richardson on our website! Congratulations! Thank you to our Executive Partner, The NorthWest Company for presenting the 2nd Annual UMSCO Case Competition second place trophy! Learn more about NorthWest on our website! Congratulations! Thank you APICS, our Executive Partner for presenting our third place trophy for the 2nd Annual UMSCO Case Competition! Learn more about APICS on our website!